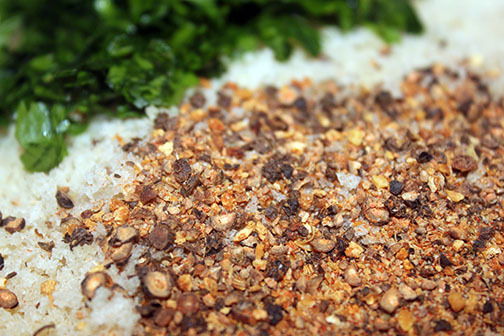 On a dinner plate mix together the parsley, Habanero Garlic Pepper and Panko breadcrumbs. 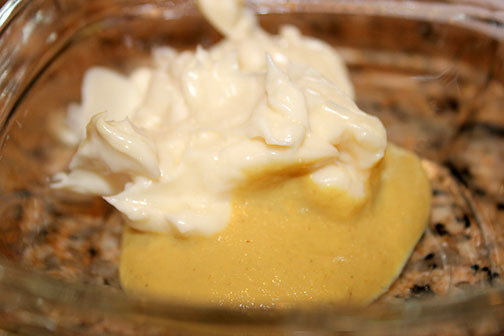 In a small bowl combine the mayo and mustard. 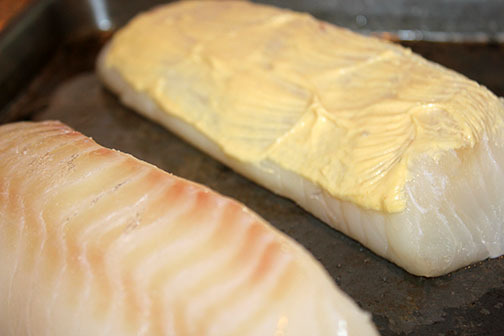 Season the cod on both sides with a little bit of salt. 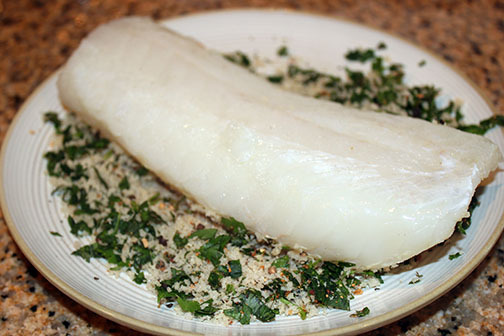 Brush the top of the cod fillets with the mayo/mustard mixture and dip the coated side into the breadcrumb mixture, using hands to press down a bit to help it stick. 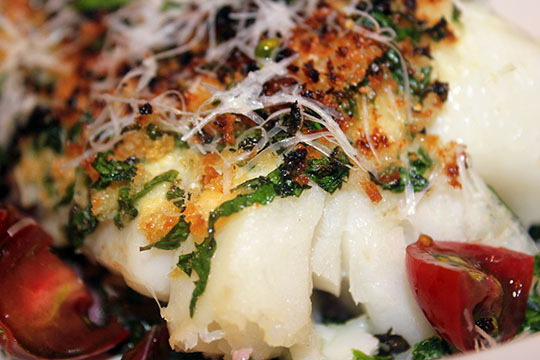 Place cod fillets on an olive oil drizzled cookie sheet breadcrumb side up. 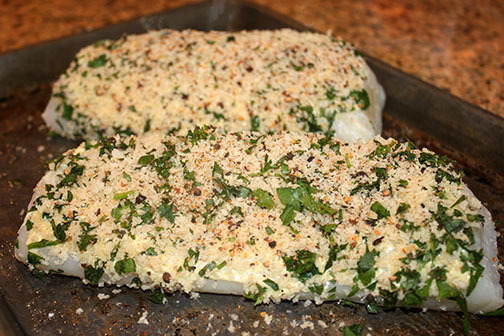 Bake for 15-20 minutes depending on how large your fillets are. 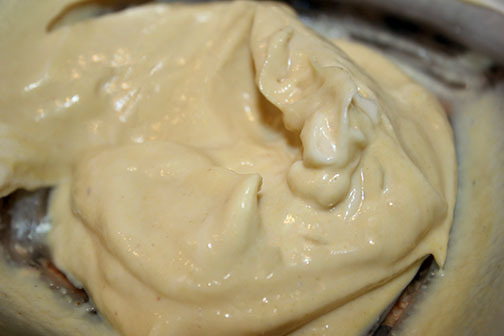 You can also grill these at at medium temp for 15-20 minutes. Do not turn over. 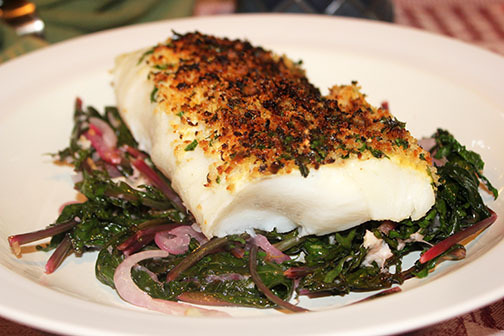 Cook our kale while the fish is baking. 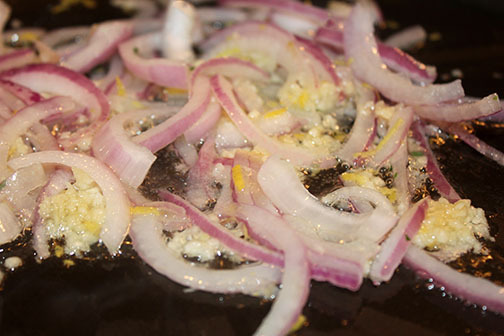 In a large skillet add 2 tbsp olive oil, red onion and garlic, sauté until softened. 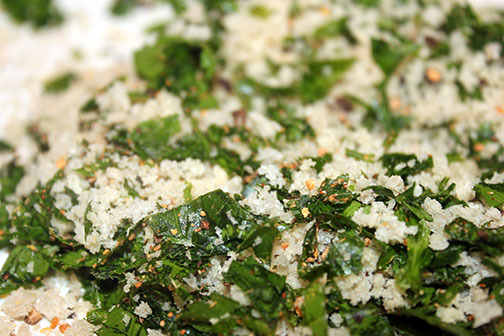 Add the kale with a pinch of the Habanero Garlic Pepper. 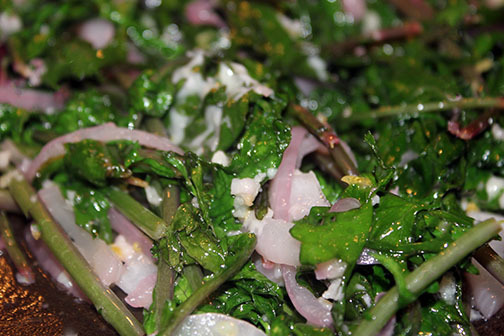 Sauté until just wilted and then add the lemon juice. 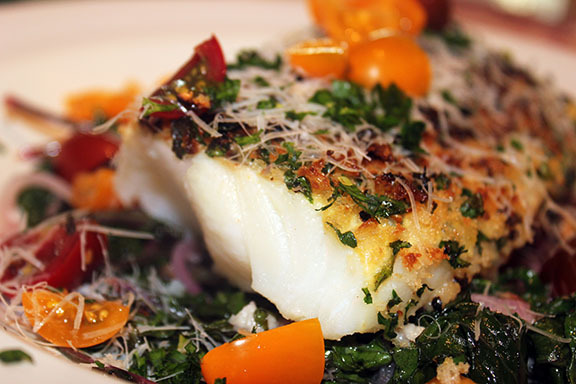 Serve the cod on top of the kale mixture with the cherry tomatoes on top. I also added a little parmesan cheese.